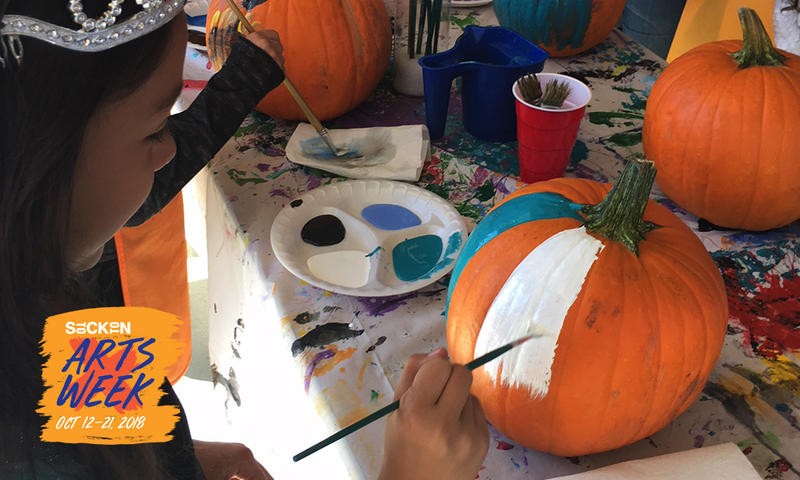 Come join us on October 12 for a fun filled day of painting pumpkins at the Art Lab to celebrate Stockton Arts Week! Come and paint-a-pumpkin for Halloween. $7.00 gets you a pumpkin and all the painting supplies you need to let your creativity go wild. This is open to all ages.